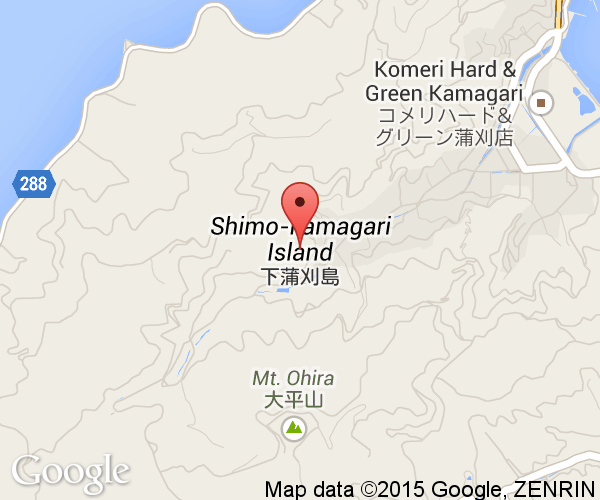 Around 2,200 people live on Shimokamagari Island which, like its sister island, is famous for its oranges. Cycling around the Kamagari Islands is quite popular and there is a bike rental shop at Sannose. 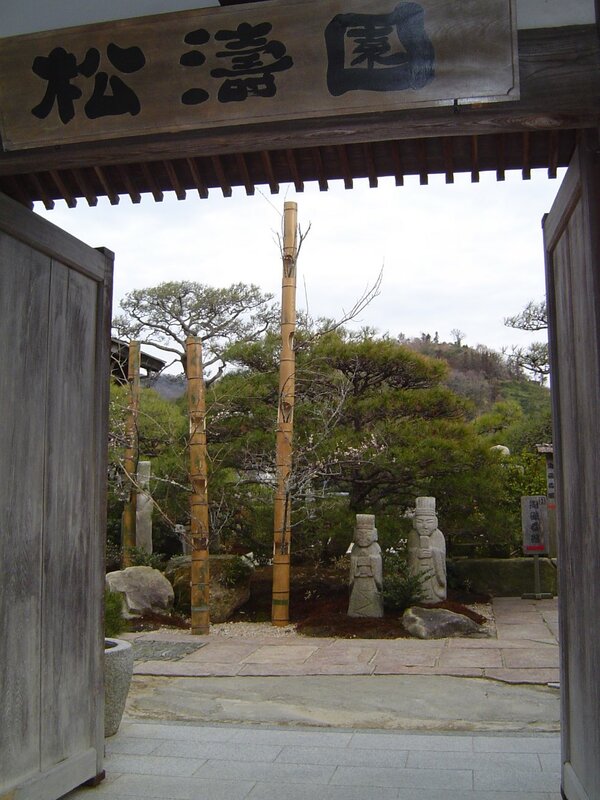 Shimokamagari was amalgamated into Kure on March 1, 2003. In the north of the island near the Akinada Bridge is a small village centered around Mitodai Harbor. 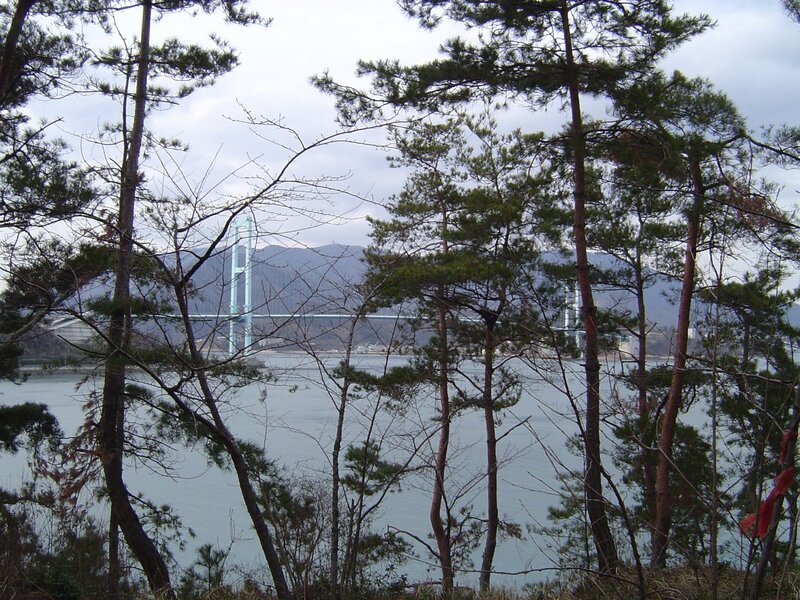 Several small parks near the bridge offer a dramatic view of the inland sea and the bridge. Overlooking the village, Tenjinbana Park (天神鼻公園) is a naturally steep, long and narrow peninsula where Maruya Castle once stood. The castle was used for 200 years from the end of the 14th century to control and charge tolls on passing ocean traffic. Nothing remains of Maruya Castle (丸谷城) save a interpretive sign but the park is a nice place to look out over the ocean through the trees and have a picnic in the trees. The major road goes along the east coast of Shimokamagari from Akinada Bridge to Sannose where Kamagari bridge spans between the two islands. In the Edo period (1603-1868), Sannose (三之瀬) emerged as an inn town on the ocean highway for passing princes and nobility to stop at and rest in luxury. Over time, its importance grew as it became an alternating residence for Diamyos (a hostage system to ensure good behavior) and a frequently chosen place for diplomacy with visiting princes from Korea and dignitaries from Holland. Rooms to house the visiting dignitaries, lords and princes and their bodyguards were built on the hills above the harbour. Today, a collection of museums and historic buildings show off this prestigious heritage to the many tour buses which stop there. The original stepped pier has been damaged by the ocean over time but can still be seen. This art gallery (蘭島閣美術館) is named in honor of the many orchids which grow in the spring on the island. It cost 500 yen to view this collection of works by leading Japanese artists like Yokoyama Taikan and Heitarou Fukda. 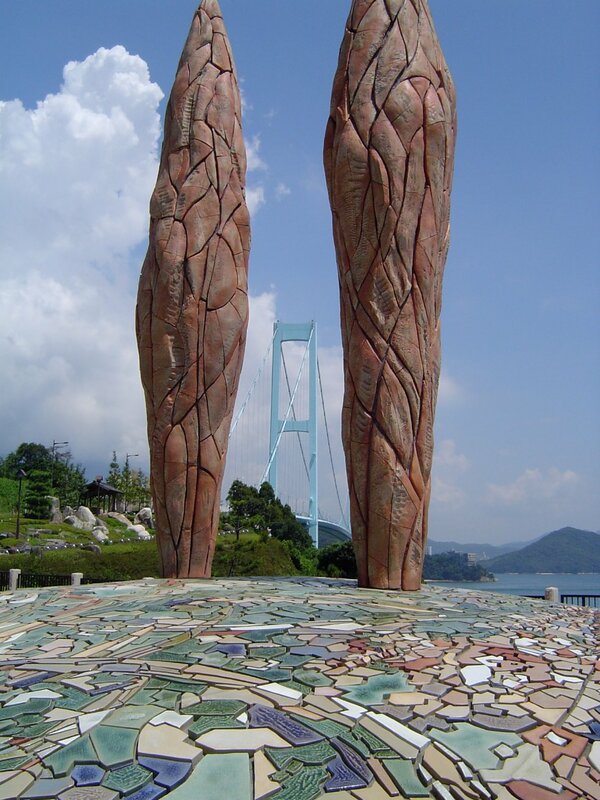 Many of the pictures show the beauty of this part of the Seto Inland Sea. An annex building (300 yen) has contains paintings by Manjirou Terauchi and other artists with a connection to the area. Open from 9 to 5. This museum's collection of buildings is a showcase of life on the island and its visitors. There is large display of artifacts from Korean visitors and a collection of Chinese and Korean porcelain. Rare fairy lamps that came to Sannose from western visitors in the Edo Era is also on display. 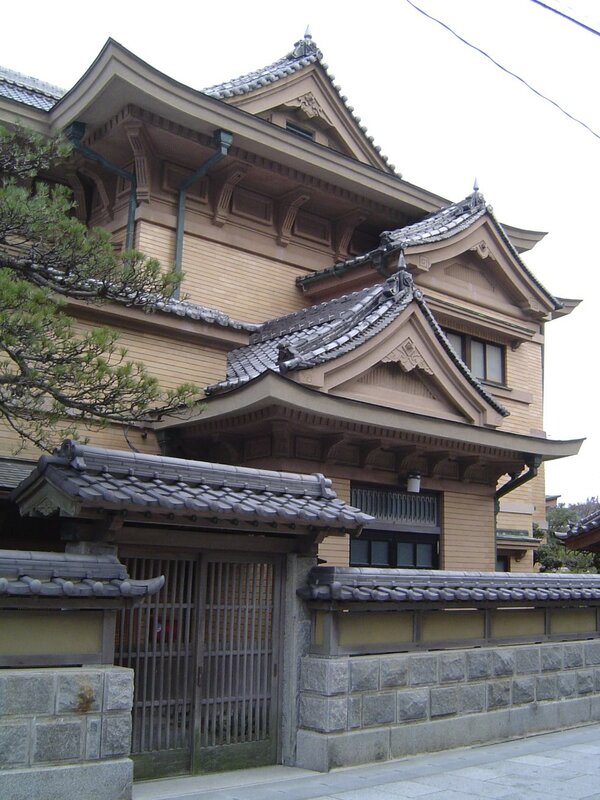 An Edo era guard house has been restored and can be toured at the museum. 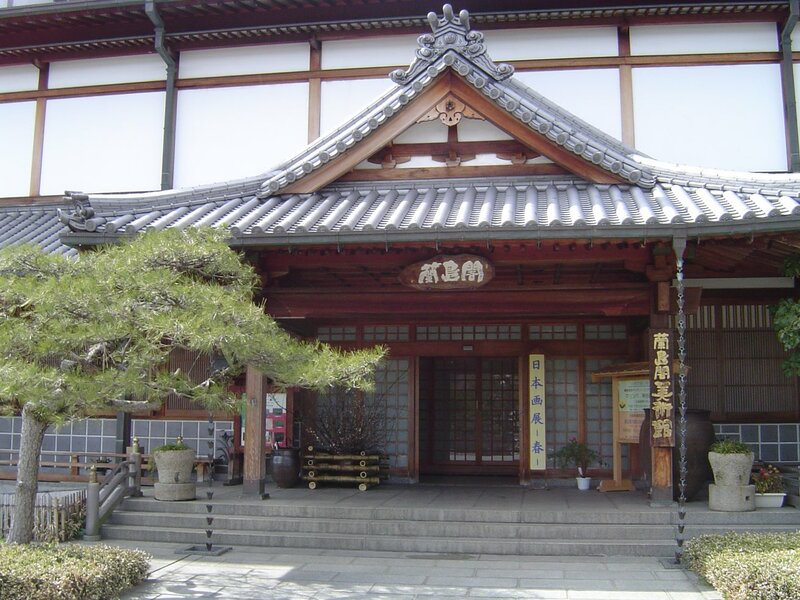 The Shirayuki Tea ceremony room is a fine example of late Edo period architecture. The building was dismantled and moved to its present location from Takehara. Open from 9 to 5. There is a 300 yen entrance fee. Bugs caught by local kids and bugs from all around the world are all on display at the Bug House (昆虫の家). There is also a collection of buggy folk art and art. The garden outside is packed with butterfly friendly plants growing in it so chances are you can look at the local buggy wildlife, too. Kajigahama Beach is a popular swimming beach which is second only to Kenmin-no-hama in popularity on the Kamagari Islands. It is located past Sannose before Shimokamagari Elementary School. Several attractions are located at the beach. 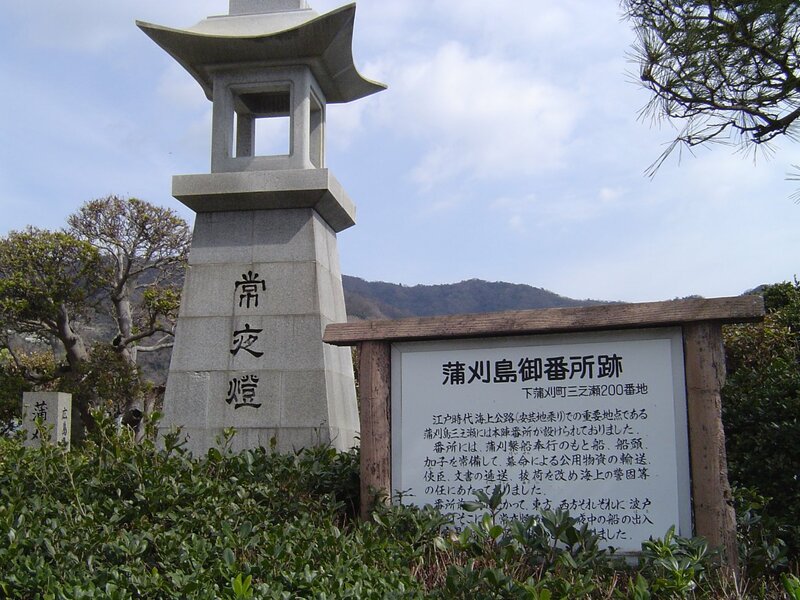 There is a hands-on salt making demonstration (reservations required) and a park commemorating Shimokamagari's connection to Korea from the Edo Era. Finally, there is a museum for tools from around the world and seaweed. Shimokamagari and Kamagari, are easily reached by bus from JR Hiro Station or JR Nigata Station. Not all buses traveling to Shimokamagari go the full distance to Kenmin-no-hama on Kamagari. A smaller local bus system operates on the islands. The toll charged for crossing Akinada Ohashi in a car seems to verge on being highway robbery. On the other hand, the ferry it replaces from Nigata to Mitodai cost over 4 times more per crossing. There is no charge for bikes or pedestrians. Bikes and pedestrians cross on the west side (right side when going to the islands) of the bridge.